President Andrew called the meeting to order and after the pledge, Maddie S. introduced visitors: Michael G., Los Gatos/Saratoga HS Superintendent; David H., a prospective new member; and Lydia, member Hal R.’s wife. 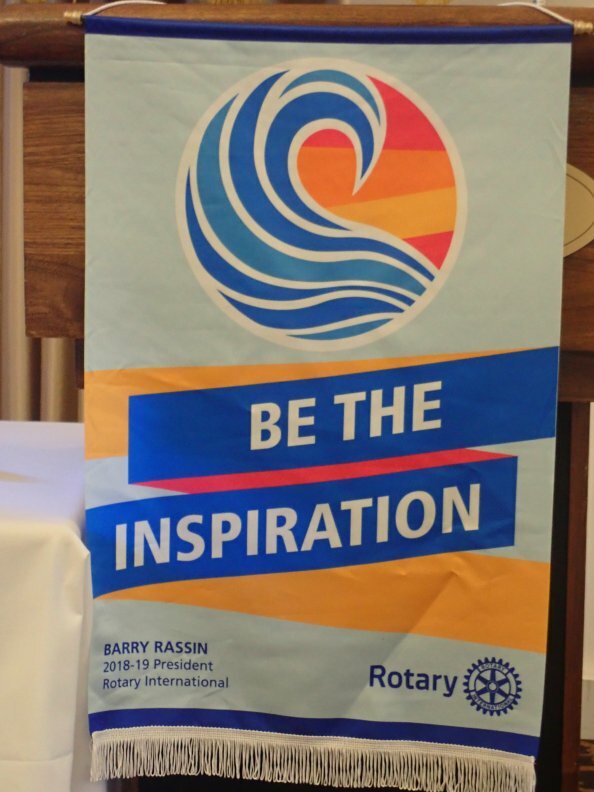 An inspirational video was shown about how Rotarians make a difference every day by putting their skills to good use and the heartwarming rewards of a simple “Thank you!” for their contributions. Tina O-H. reminded everyone that the St. Luke’s brunch service will be next Tuesday at 9:45am. All are welcome to help with this regular activity and volunteers wishing to bring food should contact Tina. Mike N. announced the Fall Fundraiser at the Los Gatos Theater on Friday, November 16th featuring the movie “Fantastic Beasts” (a prequel to the Harry Potter series). The entire theater is reserved for Rotarians, their families and guests. As before, several families staying at the Ronald McDonald house will be invited as guests of the club. Tickets are available online or you can contact Dan S. to reserve tickets. 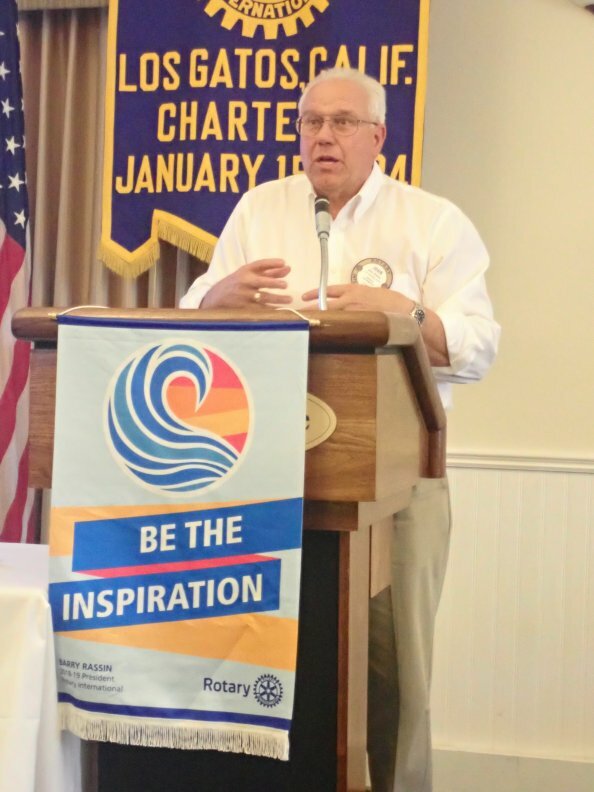 Tom B. reminded the club about the President’s Brunch on Sunday, December 2nd at 10:00am at La Rinconada Country Club. The high school choir from last year will be the featured entertainment. 84 people have already signed up. Buy tickets at the lunch meeting or send an email to Tina O-H.
Andrea L. announced the November birthdays: Henry V., Suzanne B-G., Dave M., Ensy A., Janice G., Navi F., Avis L., Tonya M., Greg S., Leroy N., and Greg G.
John P. announce that the next First Thursday, on December 6th, will be at his house. Please let John P. or Maddie S. know if you will be attending so they can plan accordingly. Also, let them know if you plan to bring wine or an appetizer to share with the group. President Andrew read a thank you letter from a Rotary Scholarship recipient who plans to eventually attend medical school. Dom N. proudly announced his grandson, Nicholas, became an Eagle Scout and worked on a project to build three batting cages. Don N. shared a story about a letter of recommendation he received for medical school. The recommender acknowledged that Don N. was the only student who sent him a thank you note after getting accepted. Tina O-H talked about Amy P.’s son attending ELC. The son noted that Rotarians seemed like old, rich guys which he thought was a good thing. Dan S. spoke about a Fisher Middle School project to interview and write about veterans. The scheduled speaker was not able to attend and President Andrew played a video about Rotary Fellowships which featured a story about the “Surfers Unite” group based in San Diego. Its focus is to attract young people to Rotary through fun activities and sponsor surfing events to include young people who are less fortunate. The BroAm event in San Diego attracted 15,000 people and raised over $220,000. There are over 320 members in 20 countries. 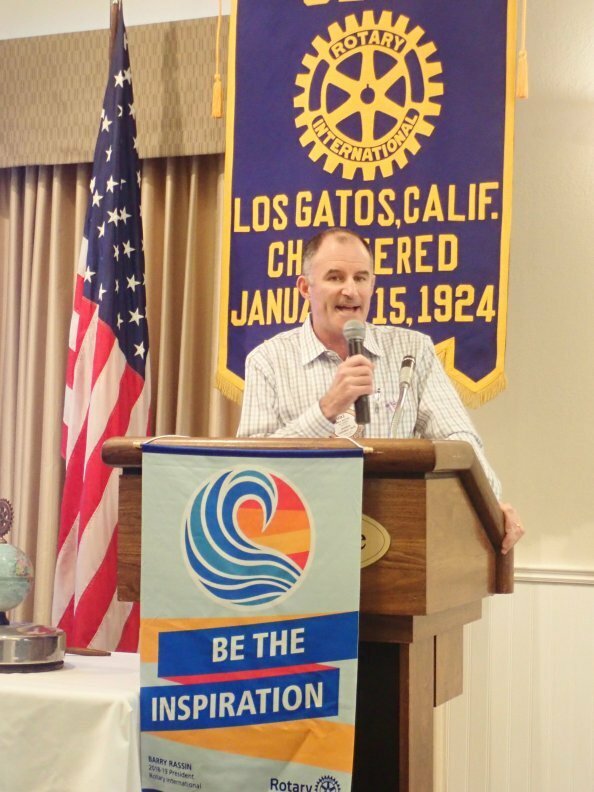 Periodically, a senior member of the club presents their bio to the group and this time it was John P. He moved from New Jersey to California at age 15 and studied engineering at Cal Poly and did graduate work at Santa Clara University. 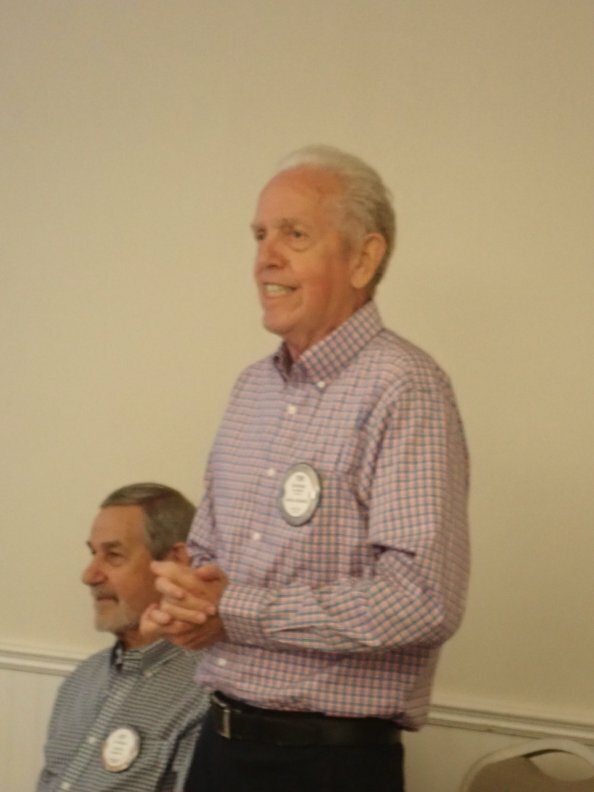 John joined Rotary when he was 23 years old and has witnessed many changes over the decades—notably, more active participation by Rotary members beyond donations. John P. runs a surgical instruments business in San Jose. 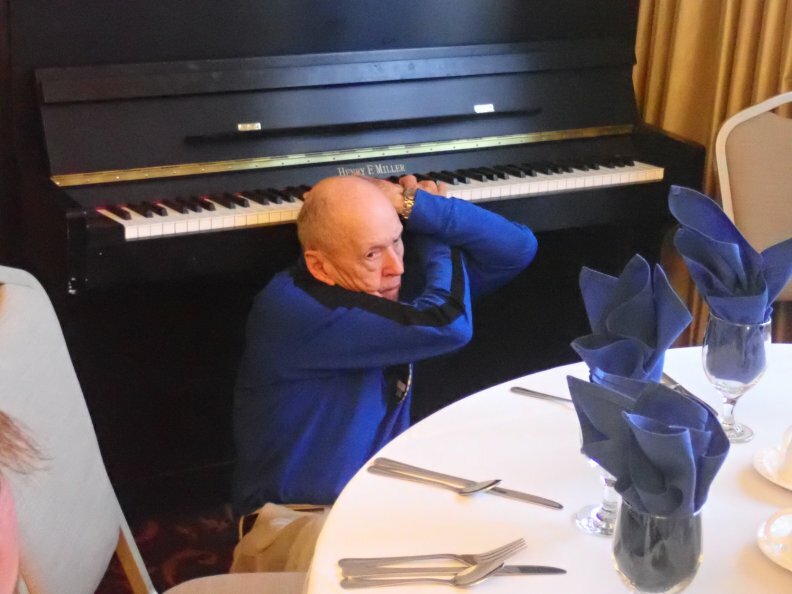 A big surprise was Don M. playing the piano at the end of the meeting—facing backwards! Lots of hidden talents in our club!